FACTORY: Fabrica de Tabacos NicaSueno S.A.
Fable has dedicated this line of cigars to the number Seven – the fourth prime number – get it? Seven holds a special significance in the natural and human world. 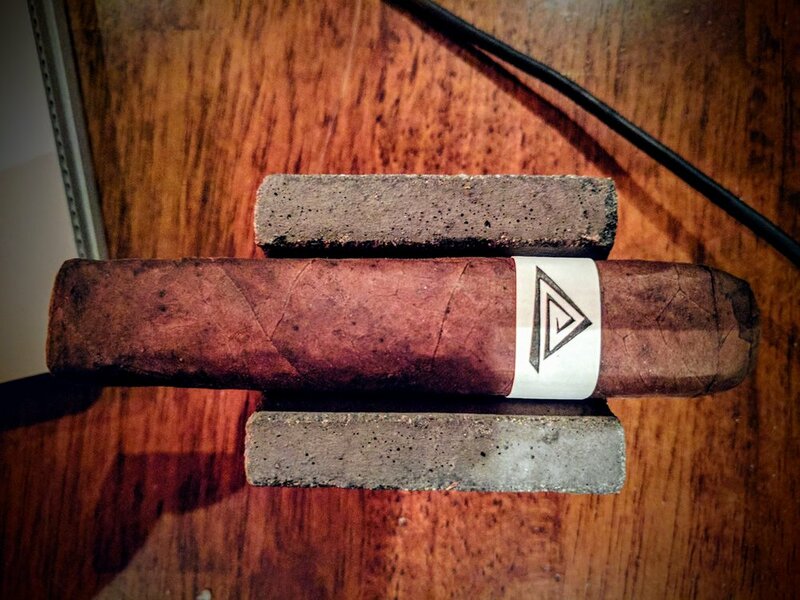 They are a new company and this is their first offering into the cigar world. This vitola is named Doc – after the dwarf from Snow White and the Seven Dwarfs. From Fable’s site: “Doc is the pompous, bumbling, stammering, self-proclaimed leader of the Seven Dwarfs. It’s a reminder to not take ourselves too seriously and that there is value to humor in any story.” Good advice for anyone. These are produced at Fabrica de Tabacos NicaSueno S.A. – the same factory that rolls out the always fantastic RoMa Craft cigars. The band is awesome. As a fan of minimalist design, it definitely conveys something simple, yet very effective. The triangular-shaped spiral is composed of seven lines that fold in on themselves. The white uniform background leaps off the dark brown background of the Pennsylvania wrapper. The only indication to the brand is found on the back – a scripted logo for Fable – pewter on a black backdrop. Fable’s Doc is very well crafted, as you would expect from the distinguished factory that produces them. The wrapper is a striking dark, leathery brown – more matte in appearance than oily. There are no bumps, raised areas or veins evident. The cap is flawlessly flat and smoothly transitions to the body. The foot appears consistently packed and solid. All-in-all, this stogie looks great and definitely catches the eye. This is a fantastic feeling cigar. I’m not usually a fan of box-pressed sticks but this one just feels right somehow. It’s a little smaller (shorter) than I prefer but perfect for my first venture into the brand. Cigar has no soft spots and is firm with a good amount of give when squeezed. Pretty plain actually - some very reserved notes of leather and tobacco, maybe a little chocolate. Cold draw offers some deep barnyard, tobacco and leather flavors. Maybe some hay and lighter notes as well. Unlit, the draw is effortless and open. Snip the tip and fire it up with my single torch lighter Bugatti that I’ve fallen in love with since scoring a deal on CigarBid. Immediately struck by some graham cracker-like sweetness and an intense does of pepper. The draw continues to be approachable – open but not too airy. Smoke output is pretty good. Almost no smoke when resting, but great output as soon as it’s in your mouth. Put it back down and it’s almost like you’re not smoking. With a cigar so short, it felt more appropriate to break it into halves to review. Settle down, not literally. The first half starts smooth with notes of pepper on the finish. The flavors are very mild so far – a fair mix of tobacco, leather, some cocoa still and woodiness. As I get into the second half, smoke production picks up a little bit while puffing. The flavors maybe aren’t so much muted or mild as they are different to me. There is a definite brininess to it – almost like salt water. The retrohale is very smooth and brings out a little of the nutty flavor. The burn line is overall consistent but a little ragged. Despite regular puffing, a quick re-light was needed about halfway through the second half. There is a slightly sweet, latte-esque cream to it that unifies the flavors. 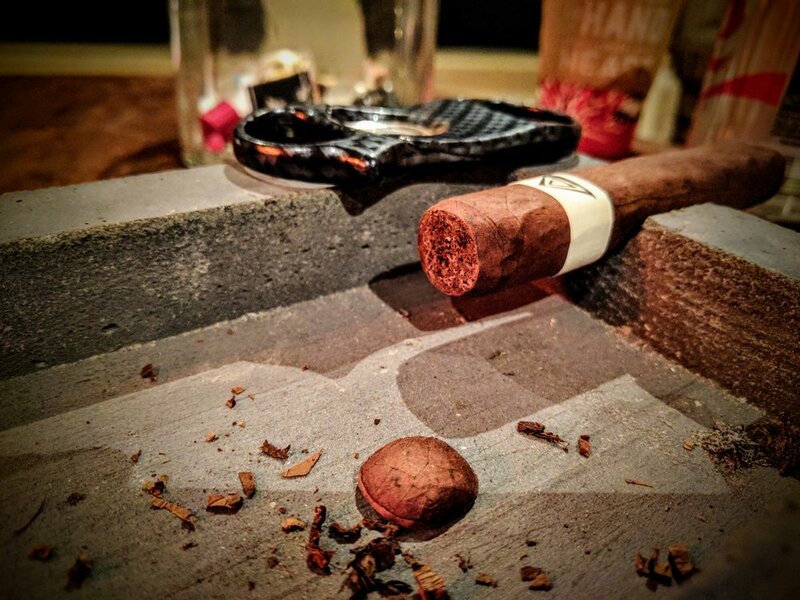 The pepper and spicy notes are completely gone and the cigar has become dangerously smooth to enjoy. For the first offering from a brand new company, I think Fable really nailed it. Fourth Prime did not disappoint, from construction to smoke, it comes very close to commanding the price tag. I wish the flavors were slightly more bold, but the subtle nature of the cigar’s profile is appreciated and interesting enough to keep attention. I look forward to trying out the other vitolas I picked up and can’t wait to see Fable’s next blend. 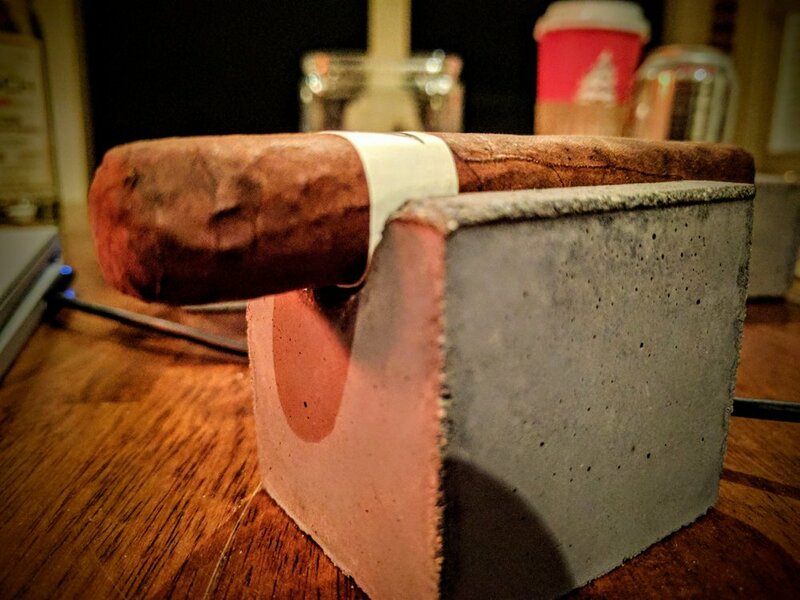 There are not many reviews out there for the Doc vitola! For those interested it looks like the other larger sizes were reviewed extensively. Cigar Fed did a simple review and rated it quite a bit higher than I did - but without an in-depth knowledge of the scoring technique, it's a little hard to draw a direct comparison.